Florals for Spring aren't necessarily groundbreaking (Right, Miranda Priestly?) but they definitely are a fun element and print to play with. 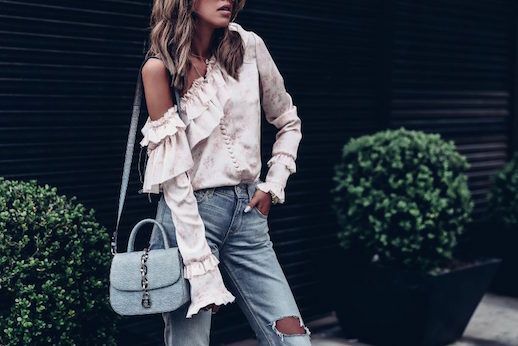 This blogger wore a few of our favorite warmer-weather trends together; a romantic, cold-shouldered ruffled blouse, distressed girlfriend jeans and a pair of killer embellished heels. We'll be trying this out as soon as possible.